The MxPro 4 comes fitted complete with an internal loop driver card (Apollo/Hochiki only) and 2 on-board sounder circuits. The control panel consists of a simple to use LCD menu driven graphical interface, dual, flash-based microprocessor technology driven by an board 24V DC, 2 Amp high efficiency switched mode power supply and charger approved to EN54 parts 2 & 4. Dedicated system navigation keys makes this control panel user friendly as well as installer friendly due to the uncomplicated, trouble-free, commissioning and fault finding. Powerful cause and effect programming coupled with dynamic zoning makes the panel suitable for a wide range of site applications, from small to large complex multi-area systems. Fully on-site programmable via on board alphanumeric keypad or PC-NeT configuration tools. An extensive suite of PC based, software programs have been developed to supplement the MxPro 4 series fire panels. Full support of Apollo (Discovery, Xplorer S90 & XP95) , Hochiki ESP protocols. 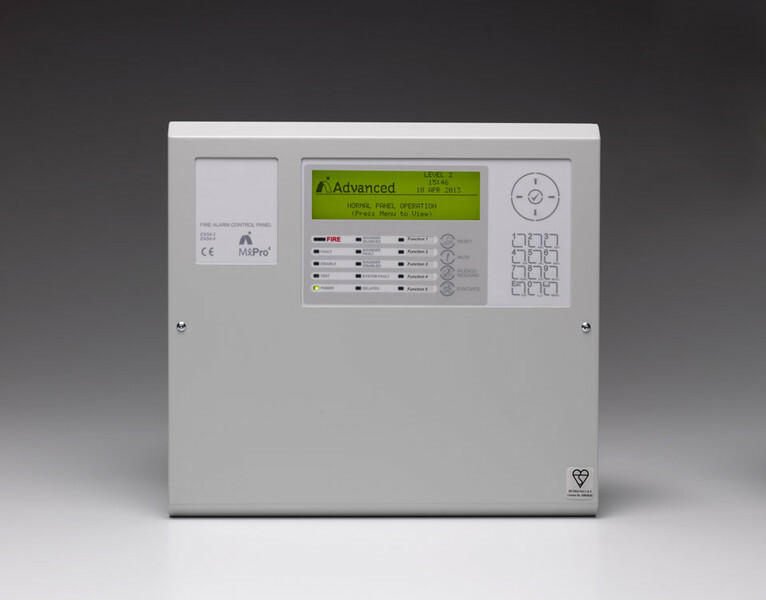 Advanced graphical LCD user interface with up to 250 fire zones as standard, allowing full EN54 compliance without additional hardware or LED indication. Dedicated RS232 serial port for direct PC or modem connection. Installer friendly auto-learn and loop detection facility for uncomplicated, trouble-free, commissioning and fault finding. 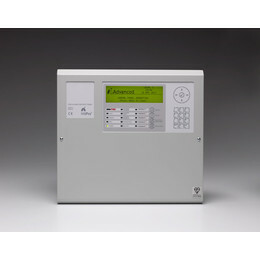 Fully on-site programmable via on-board alphanumeric keypad or PC configuration tools. Flash memory and the advanced graphical display enables the panels to be configured to operate in virtually any language with any character set and allows the installer's logo and company details to be applied to the LCD display. Robust, removable equipment chassis with plug-in connectors for simple fixing and cable termination.